This red Kershaw Mini Biner is almost like its big brother, only smaller. The blade is very sharp and made from 420J2 stainless steel. The Rockwell hardness rating of the blade is 52-56. 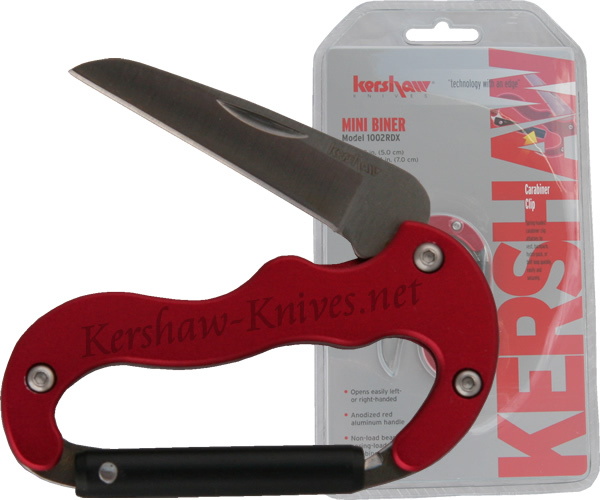 When the knife blade is opened the carabiner portion of this tool doubles as a comfortable handle. This carabiner will not slow you down because it only weighs 0.8 ounces.